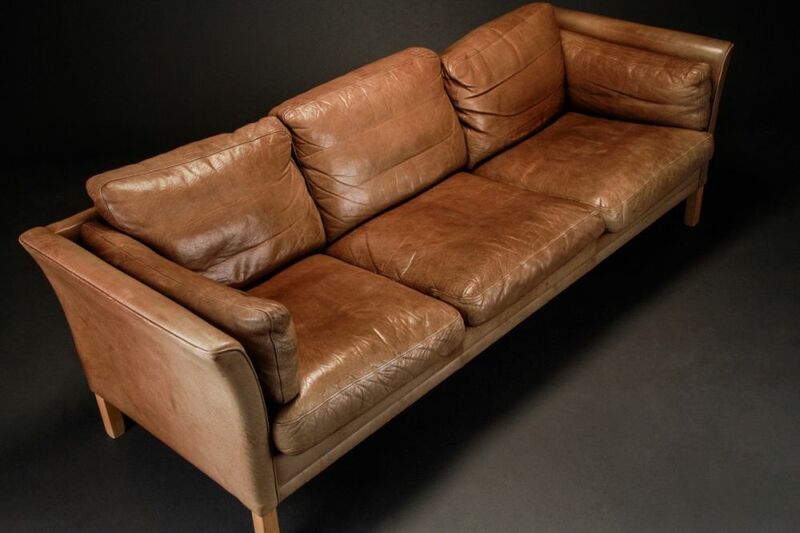 This sofa has been well used and looks fantastic because of it. Good quality aniline leather gets better looking as it gets older and more used. 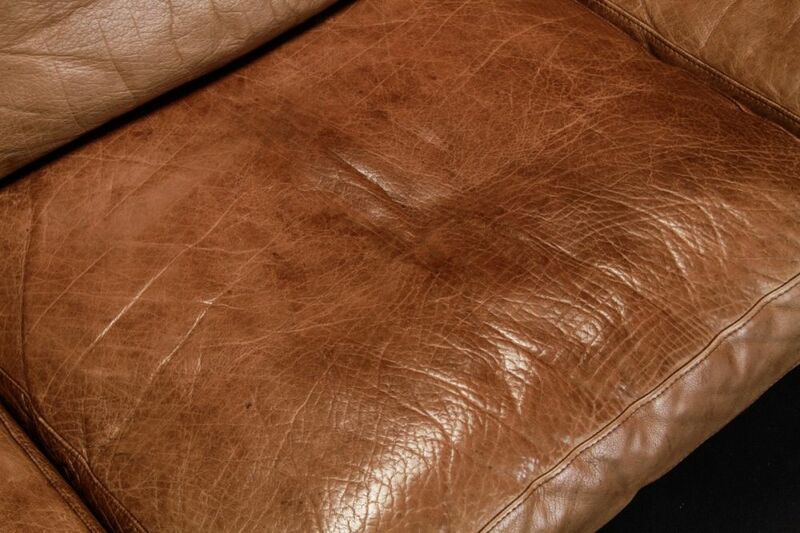 Wherever it has been touched, there is a depth of colour, character and patination. 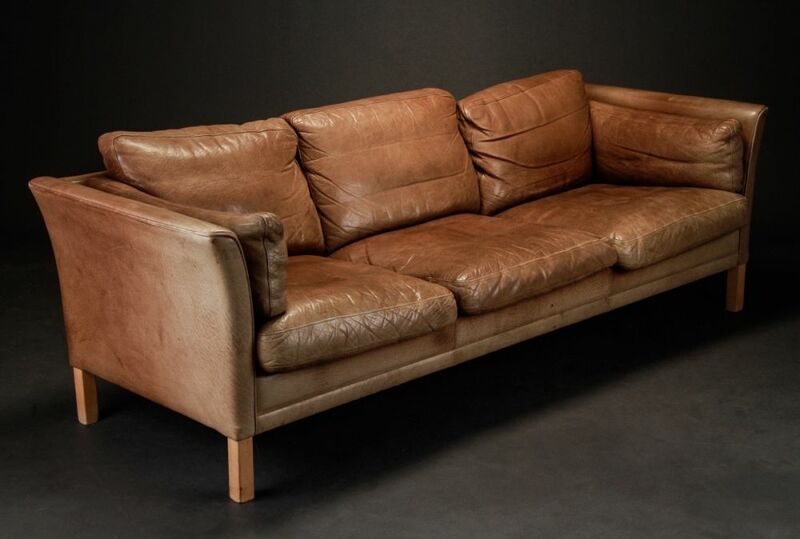 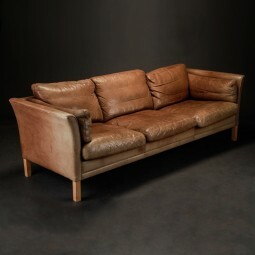 This is a very stylish leather sofa designed and made by Mogens Hansen in the style of the Danish architect and furniture designer, Borge Mogensen. It is as small as you will find for a three seater, because there's no bulk to the arms or back. The sofa looks good from the back and could be used as a room divider. The sofa is in good structural condition, and as described - well used. 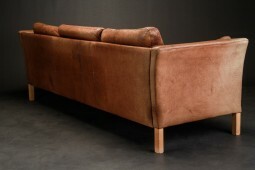 The measurements are 217 cm wide, 80 cm deep and 78 cm high. 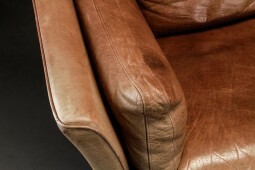 The seat is at 40 cm high.